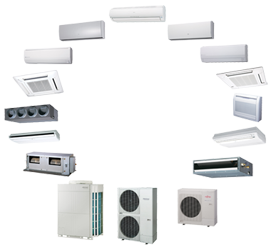 Coolair - Air Conditioning For Work And Home - Covering London, South East, Midlands, Wales & The North. | Air Conditioning For Work And Home - Covering London, South East, Midlands, Wales & The North. 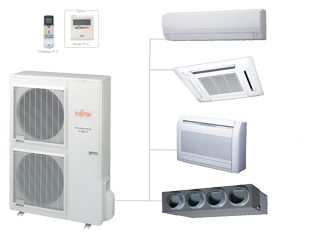 Established in 1990, our decades worth of experience within the industry highlight the fact that we know our air conditioning well – so well in fact, that some of our clients have been with us since day one. Our management team and engineers have also been with us long term – so you can confidently place your trust in us to be there to meet all of your air conditioning requirements. With our Head Office in Horsham, West Sussex – and local offices in Lancashire, South Wales and Surrey – our projects cover the width and breadth of the UK. CoolAir are widely recognised for their speedy responses to breakdown calls, getting us to you either on the same day or within 24 hours of your call coming in. We also offer a free of charge support desk, manned by qualified engineers. We make it our top priority to ensure that you, your employees, your customers and/or your family do not have to tolerate uncomfortable environments. Our invoices are simple and straight forward. Unlike some other air conditioning companies, CoolAir will never invoice you in advance of any work being carried out.